Storms, blizzards and other hazards are a part of life in New England, and while our power grids are eminently reliable, all bets are off when the snow starts to fall. That’s why a generator is such an important purchase for you and your family. They keep the lights on and the household warm even as the wind and hail rage outside. If you’re looking for a generator in Newington, CT, we can discuss your options with you. Usually, most homeowners have to choose between a portable and a standby generator, and below we have outlined some pros and cons of each. Portable generators benefit from the fact that they’re, well, portable. You can take them with you and move them around to places that are most convenient to you. Unfortunately, most of them are very small, which means they can’t always power your entire house when the time comes. They can also pose a hazard when you place them somewhere that does provide for adequate ventilation of the exhaust. Because of their size, they may often need refueling as well, which can create significant logistical problems in the midst of an emergency. Contrast that with an automatic standby generator, which is permanently installed on your property. It can be sized to properly power all of your lights and appliances, there’s no problems with exhaust since proper venting is installed with your unit. Automatic standby generators are designed to kick in the minute the power goes off, so you won’t have to worry about starting it up, and it may improve the resale value of your home to boot. 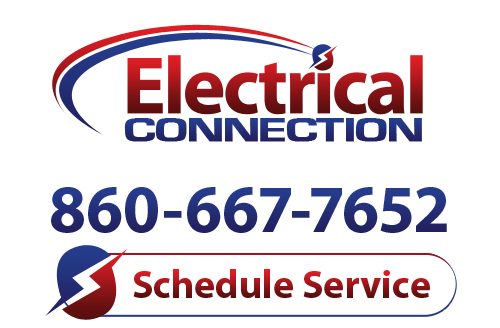 If you’re trying to determine which system is right for your Newington, CT home, then Electrical Connection can help. We deal with all types of generators, and we’re dedicated to you complete satisfaction every step of the way. Pick up the phone and give us a call today!